When we eat, the food we consume turns into sugar once inside the body. This is particularly true of carbohydrates such as potatoes or rice. This sugar circulates within us, and under the influence of insulin, is absorbed into the surrounding cells and tissue where it is metabolized into energy, or in the case of excessive sugar, stored for future use. Insulin is commonly known as a hormone secreted by the beta cells of the pancreas that lowers the blood sugar by promoting their transport from the bloodstream to the cell. Cells, in turn, use sugar as fuel to generate ATP, the energy currency of the body. Insulin’s real purpose in our body is to help the body store excess nutrients. When we take in excessive sugar and once the body senses that there is too much then insulin is released to take the excess sugar out of the bloodstream and store it by converting it into glycogen. The amount of glycogen stored in the liver is small. The entire reserve cannot last more than a day of activity. Excess sugar above and beyond what can be stored as glycogen is then stored as palmitic acid, a saturated fatty acid. Now you see how excessive sugar (calorie) intake leads to extra fat in the body. Carbohydrates we eat fall into two groups -complex and refined. Examples of complex carbohydrates include whole grains, vegetables, whole fruits, nuts, and legumes. 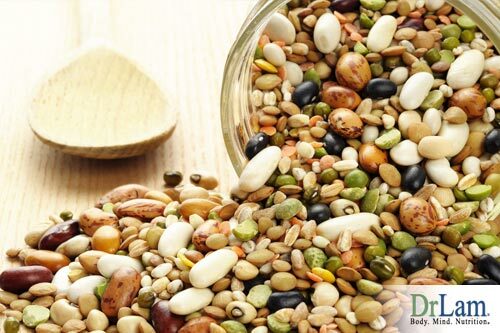 Legumes, in particular, can help reverse insulin resistance naturally. Examples of refined carbohydrates include white flour, white rice, and sugar.